What Do Investment Banking Courses Cost? The self-study approach to investment banking training offers several advantages to finance professionals looking to augment their existing skill set or knowledge base, or to workers in other fields who may be interested in an investment banking job. Unlike other types of training which may be more structured, such as instructor-led online seminars and traditional classroom-based courses, self-study courses allow the student complete control over the scheduling of the training and the pacing of the course. This allows the student to schedule around factors such as work and childcare, to make the best use of their time in mastering the material. This same lack of structure can, in some cases, pose a problem to students accustomed to the guidance, schedules, and benchmarks associated with more traditional forms of education. Some individuals may find that completely self-guided courses are difficult to complete, without the external impetus of deadlines and class sessions, others may find that other time-sensitive priorities interfere with the continuity of self-guided study. However, these difficulties can be overcome given sufficient motivation and focus on the part of the student, as many individuals find that the material can be interesting and rewarding to learn. Self-study courses generally take the form of online training modules, software-based training modules that can be installed locally on a computer, or book-centered training packages. Online training modules often include pre-recorded video instruction sessions, supporting material provided in the form of web pages, and links to real-life examples in news reports and press releases of the subjects being covered. Many online courses also assist the student by keeping track of their progress through bookmarks and milestones, allowing the student to pick up easily where they left off in each session. Online self-study courses such as those provided by Breaking into Wall Street may also offer online quizzes to allow students to test their knowledge as they proceed through the material. Online courses also have the advantage of being available anywhere that the student can obtain internet access. Installable software training packages provide many of the benefits of online self-study investment banking classes, in particular making large amounts of training data available in a portable format. These packages also frequently include organizational tools such as bookmarks and progress indicators, as well as quizzes to help the student assess their retention of the material. Because these modules are locally installed, rather than accessed via the internet, they are accessible even when internet access is disrupted or unavailable, but are therefore only accessible at the workstation or laptop upon which they have been installed. For students who prefer not to spend hours in front of a computer, or who may not have consistent access to a computer during the time available for training, books can provide a useful and practical alternative. Books such as “Investment Banking: Valuation, Leveraged Buyouts, and Mergers and Acquisitions” by Rosenbaum, Pearl, and Perella and “Distressed Investment Banking – To the Abyss and Back” by Owsley and Kaufman can be extremely helpful to individuals looking for self-guided training options that are not computer-dependent. 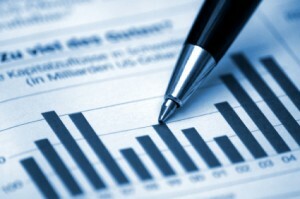 While this option does not provide many of the interactive features of computer-based learning, an investment training and financial modeling course pursued using books and manuals is a much more comfortable option for many students, and a wide range of books can be found on the subject of investment banking. 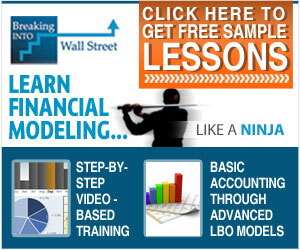 A site dedicated to Investment Banking Training and Education. We show you what to expect when evaluating Investment Banking Course options. Discussion of training course options, cost, delivery methods and even provide a guide for selecting an Investment Banking Course. What is Investment Banking Training?